Maddie loves watching me sew. Her job is to pull out the pins and pop them in the pin cushion. 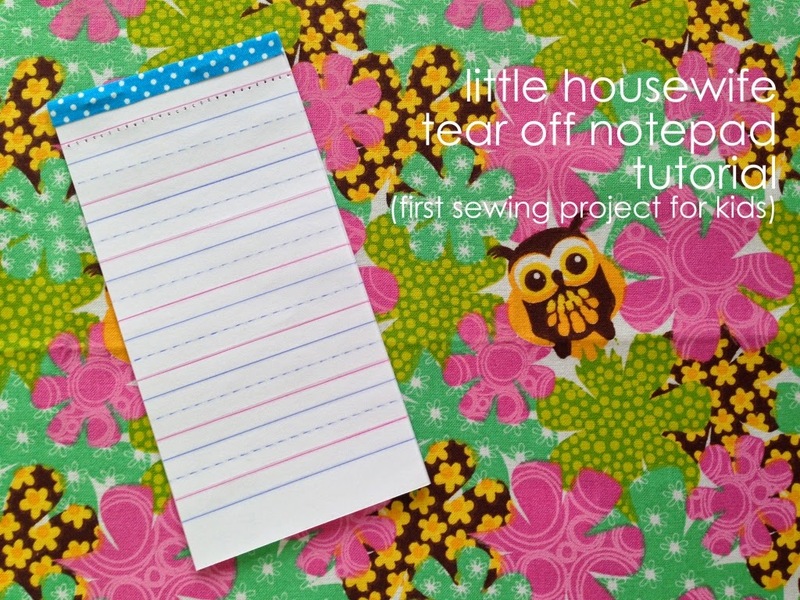 It got me thinking about when and how I started sewing. Like most kiwi kids, I learnt all I know from Home Economics in Form 1 and 2 at Intermediate School. (For our international readers, that's ages 11 and 12 years). I don't even know if they do Home Ec any more. I certainly hope so! 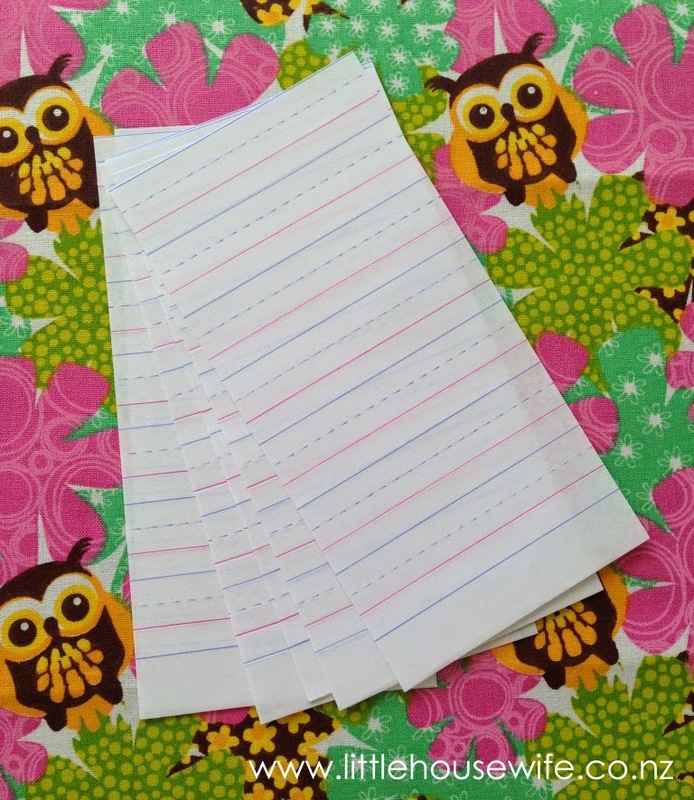 The first project they ever taught us to sew, before we learnt how to even thread the machine, was a tear off notepad. It was to teach us about the feel of the sewing machine, how much pressure to apply to the foot control pedal and how to manoeuvre things between the needle and footer. 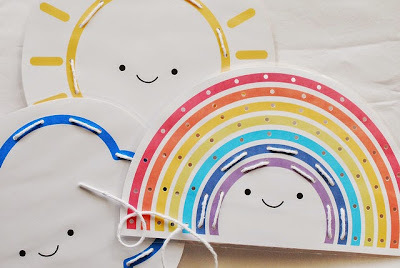 I don't know why but this project always stuck with me so if you have a young one who is interested in sewing, this might be a good starting point. Get some scrap paper and cut it all to the same size. 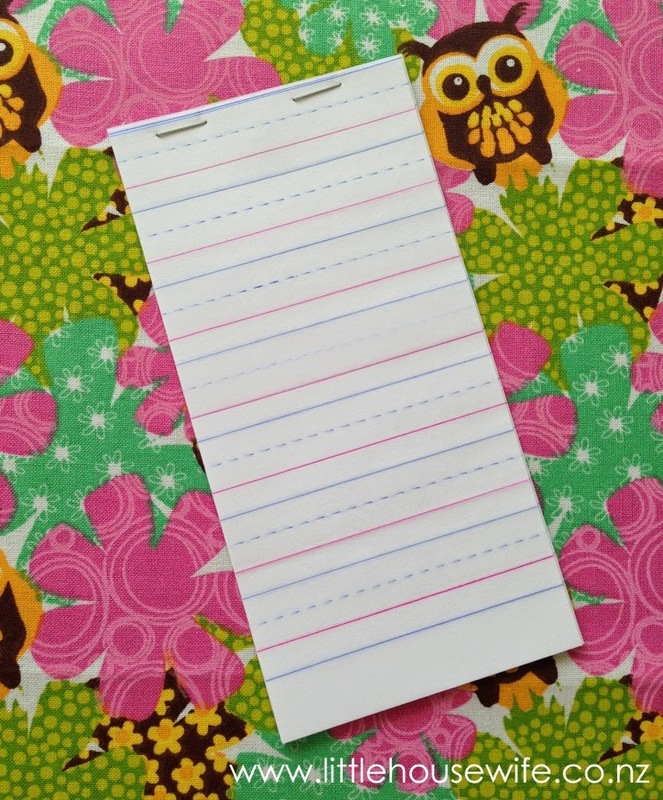 I used eight sheets of thin-ish paper. Staple it at the top. It's not necessary but I covered my staples with some fabric tape. 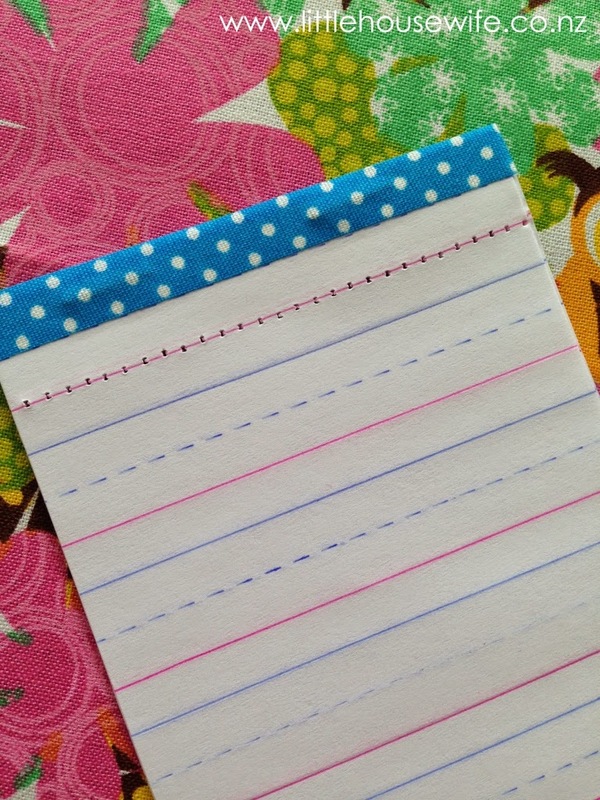 I used lined paper but if you are using plain paper, use a pencil and ruler to draw a line below the staples for you to sew along. Don't make it too near the staples as they don't feed under the foot very easily. 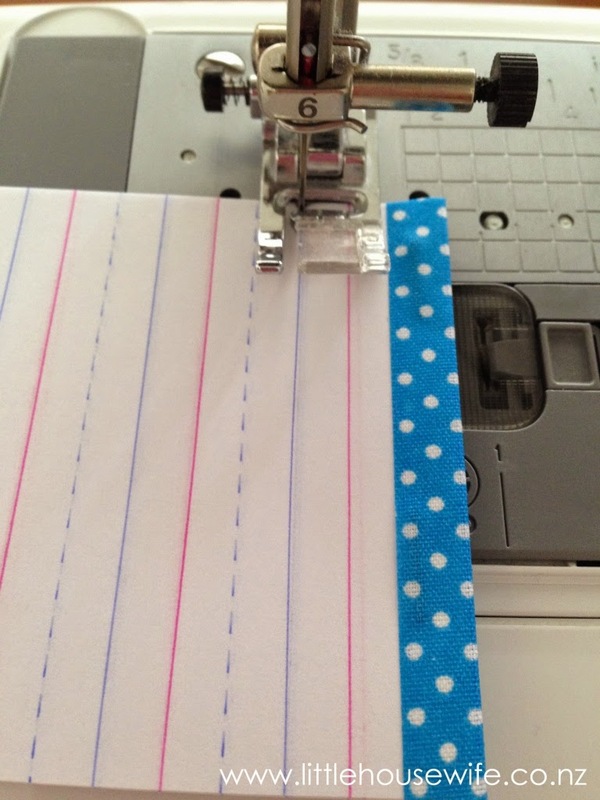 Put the booklet of paper under the foot of the sewing machine. Set the stitch length to a medium length. I used 3. 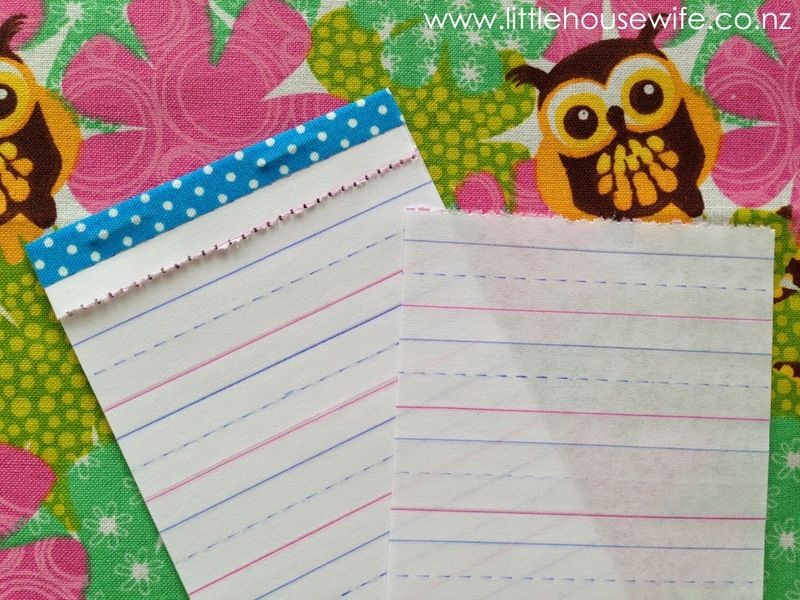 Sew along your line. 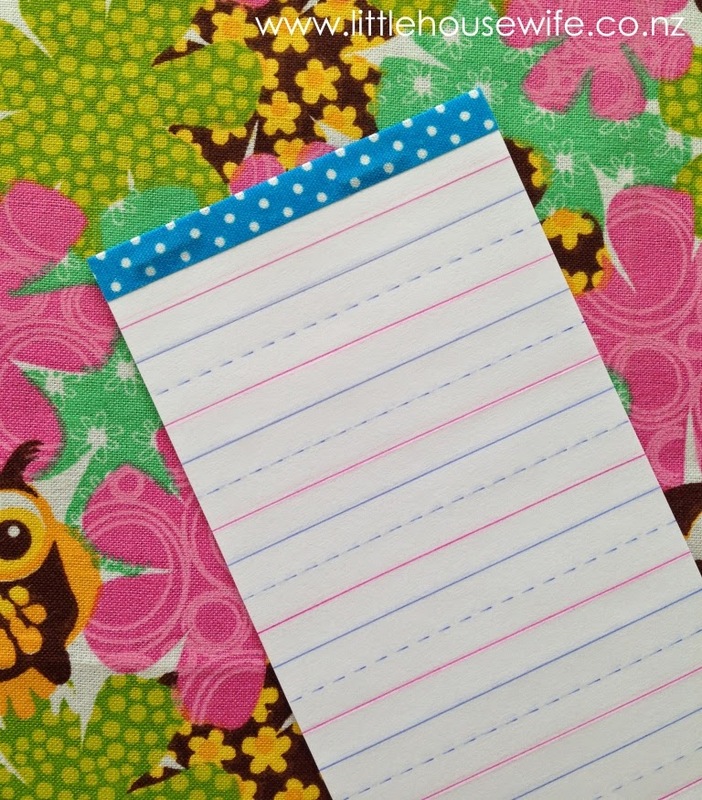 And there you have it - a perforated edge to tear off your note paper. Such an excellent exercise for practising sewing straight lines. The other exercise we used to do was get a photocopy of a black and white picture from a colouring book and sewing the outlines in the picture. So good for practising manoeuvrability. 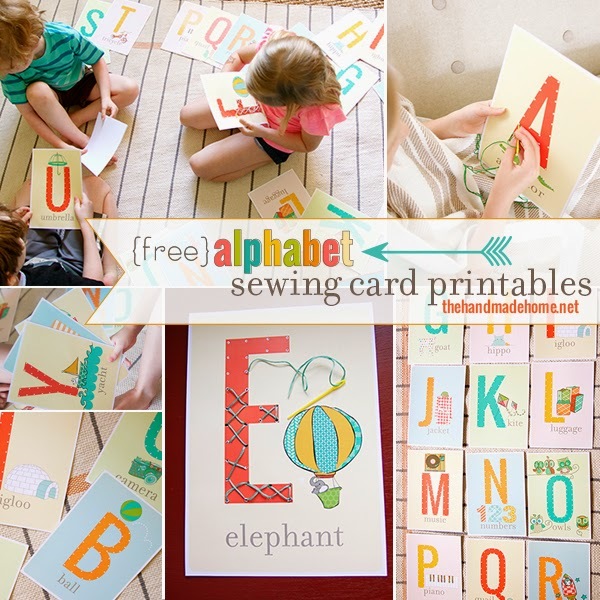 If you want to teach your kids how to hand stitch, there are so many fabulous sewing or lacing cards available - many of which are free printables or ones you can easy make at home. For little kids, I recommend getting a large plastic needle which are easy for small hands to hold and move plus they have a dull end for safety. Here are some of my favourite sewing cards which are all free printables or ideas on making your own. 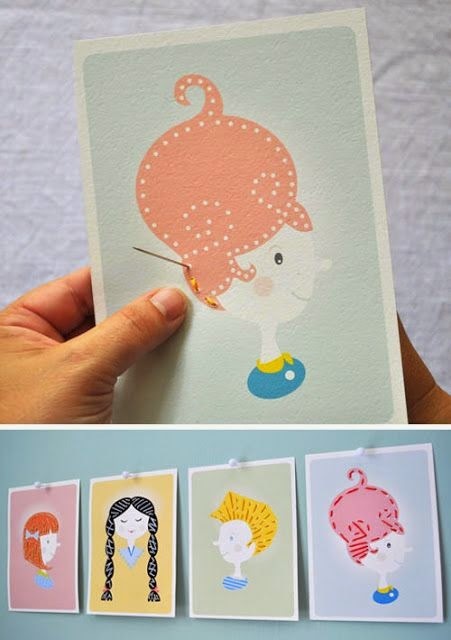 I hope you've seen some ideas which you think your children might enjoy. 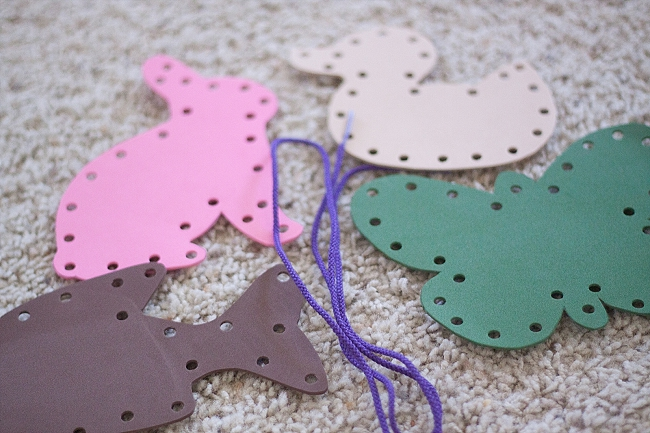 What other ways have you introduced your children to sewing? 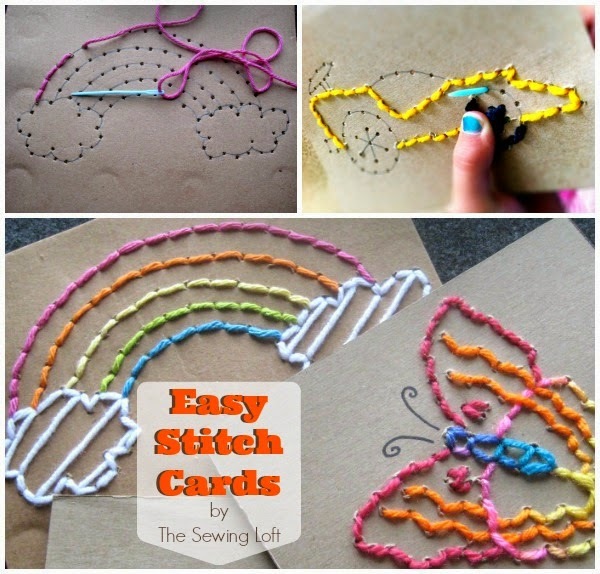 Such a simple and great idea Penny - I am hoping to do a bit of printing and making stitching cards for my girls these holidays. They also have some basic tapestries that they love working on too - Lovely to see the little ones into it isn't it?